Is your beverage licensee brand strategically positioned with its message clearly communicated? Are you sure? You don’t have to embark on a lengthy and expensive consumer research study to find out if your beverage licensee brand is strategically positioned with its message clearly communicated. Just try this quick and easy exercise. You may be surprised by what you learn. Properly position your brand and you will be in good company. I’ve worked with hundreds of global, national, regional and local brands including many restaurants, bars, wine and spirits retailers, brewers, wineries and distillers – – all using a disciplined approach to developing a clearly defined brand positioning statement. Each of these clients that focused their attention on brand positioning have reaped the benefits of their efforts. Your Restaruant As a Brand: Interview on Branding and Brand Positioning with Warren Ellish on Foodservice Radio, the new streaming 24-hour internet radio station programmed for restaurant and food service operators launched at the National Restaurant Show. Creating a brand around your restaurant has many benefits. 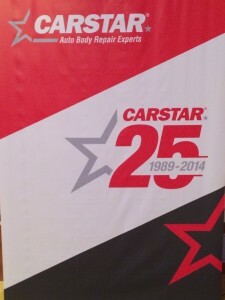 A clear, concise brand statement can drive marketing, development and even operational activities. In a Foodservice Radio interview, Warren Ellish, Senior Lecturer at Cornell University and CEO of Ellish Marketing Group talks about how you can turn your restaurant – large or small – into a world class brand. To listen to the complete interview visit Food Service Radio or at iTunes. Defining your brand positioning also helps with social media. It helps your customers remember exactly what you want them to know about your brand. Those customers will in turn communicate that message to others. 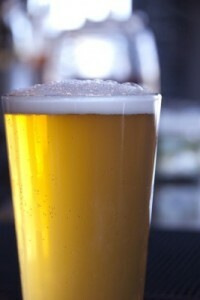 For more information or to contact Mr. Ellish, visit www.ellishmarketing.com or call 303-762-0360. 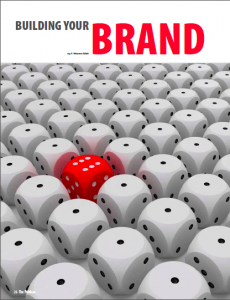 Successfully identifying and securing a powerful brand positioning is of critical importance to every brand. It is helpful to anyone who wants to influence other people. Whether you are promoting a product, a service, a cause, a candidate, an organization, an institution or even yourself and your own career. Positioning will aid in getting your desired message across to the people you want to reach and make an impression that lasts. One of the critical steps in developing a powerful brand positioning is to identify your brands point of difference – – the specific consumer benefit which you want consumers to associate most readily with your product or service. What does your brand do that no one else’s brand does as well and that your target cares about? When defining your brands point of difference, don’t let a point of similarity become your point of difference. So often I see this. When speaking recently to industry audiences on branding and brand positioning (National Restaurant Association Show, International Franchise Association National Convention and Entrepreneurs’ Organization Global Leadership Conference) or to the executive teams of clients, I ask three short questions: How many of your grew up wanting to be average? Or just like everyone else? Or of good quality? Rarely do I see any hands or much of a positive response. However, many brand leaders are perfectly OK about making their brands just like this – – average, just like everyone else and good. Warren Ellish explores “the three critical steps” of brand positioning with restaurant industry conference attendees today, at the 2012 National Restaurant Association (NRA) Show. 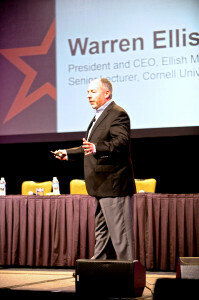 Cornell University’s Johnson Senior Lecturer of Marketing, Warren Ellish, President and CEO of the Ellish Marketing Group, presented a 90-minute session on brand positioning to restaurateurs, entrepreneurs, franchisees, and culinary professionals, among other restaurant industry conference attendees. An expert on brand positioning, Ellish, ‘77, MBA ‘78, has more than 30 years of client and consulting experience. His his talk, “Three Steps to Positioning Your Restaurant into a World-Class Brand,” detailed the importance of positioning a brand through “points of difference” and aligning all other brand aspects behind its positioning. As the National Restaurant Association forecasts a record-high $600 billion in sales for 2012, restaurants are increasingly seeking to leverage increased growth and augment their brands. During his sold-out presentation, Ellish explained the elements of a positioning statement—a brief description of what a business does and how it does it differently and better than its competitors. He encouraged audience members to apply this to their own restaurants or businesses and to reflect on what their unique differentiators may be. Part of Ellish’s educational session also included a simple test to help participants determine if their brands are strategically positioned and how they can analyze the results to strengthen their brands. “Without a concise brand positioning statement with a competitive ‘point of difference’ and complete management alignment behind that positioning, it will be difficult to communicate a clear and meaningful message about your brand,” Ellish noted in a branding document provided to session attendees. Illuminating key brand positioning opportunities for attendees, Ellish drew on his own restaurant and packaged goods marketing experience. Ellish was a founding partner and VP of Marketing for Boston Chicken, where he was a member of the core start-up executive team and led the brand through its conversion to Boston Market. Ellish brings his experience to the MBA classroom at S.C. Johnson Graduate School of Management at Cornell University, teaching in the Strategic Marketing Immersion program and product management class. He founded and hosts the Marketing Executive One-On-One Coaching Program, now in its fifth year. At this annual event, top-level marketing executives spend two days at Johnson, meeting with and coaching MBA students preparing for careers in marketing.